Sufism came recently into the CNN spotlight when Al Qaeda-linked Mali Islamists armed with Kalashnikov’s and pick-axes destroyed centuries-old mausoleums of saints in the UNESCO-listed city of Timbuktu. Sufism is historically known from the 5th century A.D on (first Sufi order was founded 657), and has survived as the only mystic (gnostic) religion the purges of the three fighting monotheist religions. This article wants to explore its religious and historical roots, and its compatibility to the psychoanalytic concepts of C. G. Jung. Like in the “Golden Words of a Sufi Sheikh”, Sufism appears as a Gnostic chameleon always nodding its head. Gnostic thoughts had been rejected by Christianity, found a new host and became its spiritual brain, the muscle and sinew. First by oral tradition, later in writings, still later as Janissaries. Sufism is very appealing to intellectuals. Sufism and Gnosticism take over silently, hence were often purged violently by Islam and Christianity. Sufism has inspired pacifist teachings, but also Assassination and Jihad for militant and tyrannical regimes. Sufis picture themselves today as struggling against violent fundamentalists who are at once their deadly foes, and ours. 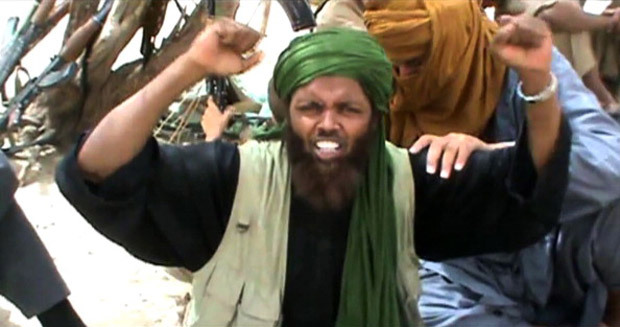 Phillip Jenkins sees Sufi Muslims, as potential allies in the fight against extremism. Is todays enemy of our enemy our friend? Are Sufis – Jungian gnostics, syncretic mystics or muslim Templars? Let be history our guide. Although the term “Sufism” is very vague construct, it is still used across the world in both academic and public field of interest. As western –ism concept it originates from Kufa, where Jabir Ibn Hayyan described sufi as a man, who seeks deeper and more intimate relation to God. It was used by Muhasibi and Jahiz to describe a mystic school in Kufa, which was close to Shi‘a teachings. The meaning of the word has been of ten connected with the word “wool”(suf ), from which are made the clothing for ascetics. Sufism embodies so the essence of the Cabbala as well as those of the Christian Gnostics. And not only this: In every religion, so say the Sufis, there is an “internal” “confidential” teaching which is hidden from the believer. This essence of every religion is a component of the Sufism, because the internal knowledge of all religious directions are same. The Sufism recognises this, bundles them up them and draws a line which is congruentially with the human existence. Thus it becomes even more interesting if one sees Sufism from a Jungian view. Yes, Sufism is syncretistic and individual, but in essence it teaches a personal approach to God and the Self long before C.G. Jung very compatible to his concept of synchronicity and individuation. It would be compatible to all world religions too, but especially if those are connected to worldly ideology, they seek to displace each other. They don’t co-exist. They wish to impose their worldview, and they wish the imposition to be publicly seen. As Philip Jenkins the author of “The Lost History of Christianity” noted, they live, fight, win, go underground or die, but their cultural remains stay for a long time like stellar explosion. Religious history does not know for sure, why has Sufism so much common with Gnosticism. The reason is maybe, that both of these systems are essentially the mystical ways, how to experience the original religion (Judaism, Christianity or Islam,) in a deeper sense and how to unite with God. 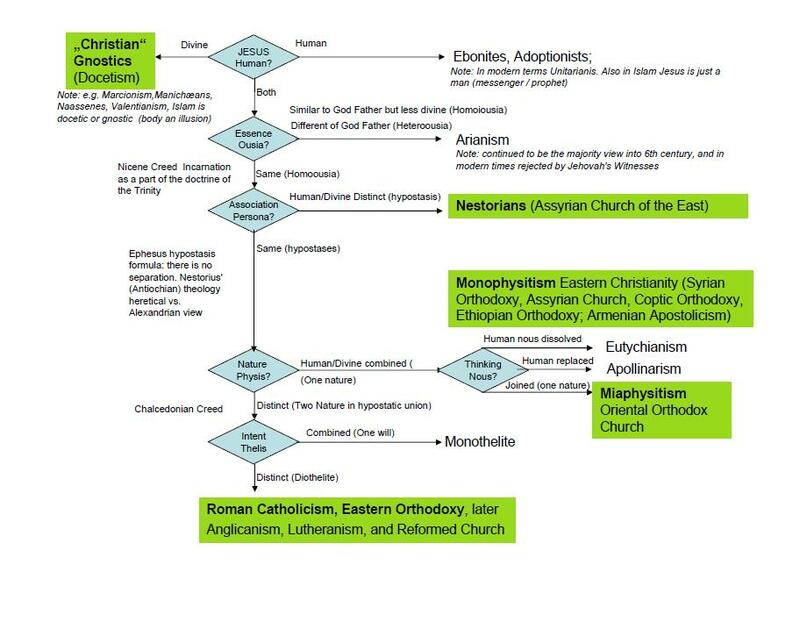 One must can also admit that the Gnostic Christianity influenced the early stage of Islam and that many Gnostics (e.g. Manicheans, Mandaeans or Christians) converted to Islam and brought the ideas of their old religion into orthodox Islamic theology. Sufi mysticism has long exercised its lure to orientalist scholars. Figures like Rumi have become well published. Based rather on poetry than history Sufism is perceived in the US as a peaceful and apolitical form of Islam and even as means of communication towards the integration of Europe and Muslims. A mere slaughter in Africa wouldn’t have raised a cloud of dust in the West or destruction of a Christian church – the world and the CNN would have hardly taken notice. But have you heard about Timbuktu recently? Or of the Buddha statues in Afghanistan? No. Why is that? If we have lost a source of common information about ourselves, and it can never be replaced. Empires may come and go, but the records of man’s achievements are irreplaceable once lost. This is what offends me. If we lose cultural heritage we have lost something of themselves; we have lost something of that which allows us to understand our past – which is of course needed to understand the present. Like the story of the Sufis. I touched it a few times. Sufism has come to mean a wide range of beliefs that center on the quest for personal enlightenment in the union with God. Sufis are sometimes described as the mystics of Islam, but Sufism fits awkwardly in the categories of religions. A cornerstone of mysticism is that true knowledge of God is achieved directly and not through an intermediary like a prophet, saint or priest. Over the centuries this has led to a great deal of political conflict between mystics and non-mystics. If a cleric or Priest behaves or commands something that seems in conflict with dogma, the individual is not in a position to disagree as long as there is no direct relationship between God and the individual. Many Sufis are not Muslims and there are many Muslims that are reluctant to consider Sufism part of Islam. One of the few concepts that Sufis seem to agree on is that all religions offer a path to salvation or enlightenment and that true God realization, no matter how it is achieved, transcends the limitations and classification of any religion. There is no firm historical source for Sufism. Many of the early orders were considered an integrated part of Islam, but as teachings were codified and the elements of Shi’i and Sunni Islam became more distinct, Sufism emerged with an identity. One of the basic ideas of Sufism is to minimize the self or individual identity (Translate the in the Ego of C.G. Jung). Belonging to a particular group with a unique name is contradictory to this effort. It is said, “a Sufi is one who is not,” and with a philosophy that seeks the destruction of self-identity it is thought that Sufi’s received their name from outsiders. Initially the term Sufi referred only to those who had achieved God realization, but it has since come to be applied to anyone who follows that particular spiritual path. “The breeze at dawn has secrets to tell you. Don’t go back to sleep.You must ask for what you really want.Don’t go back to sleep.People are going back and forth across the door-sill where the two worlds touch.The door is round and open. Don’t go back to sleep”. “Not Christian or Jew or Muslim, not Hindu Buddhist, sufi, or zen. Not any religion or cultural system. I am not from the East or the West, not out of the ocean or up from the ground, not natural or ethereal, not composed of elements at all. I do not exist, am not an entity in this world or in the next, did not descend from Adam and Eve or any origin story. My place is placeless, a trace of the traceless. Neither body or soul. I belong to the beloved, have seen the two worlds as one and that one call to and know, first, last, outer, inner, only that breath breathing human being”. Were the Sufis mystics or warriors, dervishes or monks, Christians or Muslims? Sufi Dervish were Warrior Orders called by the Calif, often from far distances, when long sieges were expected. They were not only mystics but warriors when necessity demanded. There is good evidence, that their secret close-knit brotherhoods was the role model of the European Knight Templars. Sufis have proved to be the most fanatical fighters in Muslim history and in Ottoman culture they had military branches. One particular brand of Sufis influential in Pakistan and Afghanistan in a tradition of secret societies. Information was passed down from person to person for generations. The were active in the jihad to regain India from the Raj for over 100 years. Sufism is influential in Chechnya: The terrorist attacks of Beslan and the Moscow theatre siege had Sufi background. Sufism enjoys a wonderful press in the West by their good old practice writing about non understood issues and deliberately not mentioning the other half. The expansion of Islam outside the core areas of the Middle East is above all a Sufi story. Sufi orders led the armies that conquered lands in Central and South Asia, and in Southeastern Europe; through their piety and their mysticism, the brotherhoods then won the local elite over to Islam. They disguised Islam with local traditions and worship styles, including Christian saints and Hindu gods. Today, Sufi styles and practices dominate in the non-Arab Muslim world: in India and Pakistan, in Indonesia and Malaysia, Nigeria and Senegal, and in the Muslim countries of Central Asia, such as Uzbekistan and Tajikistan. The Sufi Order was widespread in the Ottoman Empire (because the majority of Ottoman Janissaries were Shia-Sufis). The Janissaries were elite soldiers, a heavy armored infantry or Foot Knights of the Ottoman Empire. Ottoman Heavy Cavalry were Sipahis (Turkish Nobles) and Ghulams (mostly Persian). Janissaries had “cousins” in Iran (Persia) under the Safavid Dynasty (Persian-Turkic Cousins of the Ottomans) . The Safavid counterpart of the Ottoman Janissaries were called the “Qizilbash. Christian children were brought into the corps through the devshirme system, in which young boys were taken from their Christian families in Greece, Serbia, Armenia, or Bulgaria , which were part of the Ottoman Empire. 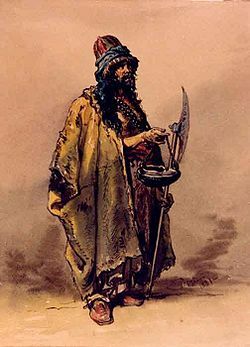 The word “Janissary” comes from the Turkish yeni çeri or “new soldier.” The child soldiers were converted to Islam, and trained in infantry techniques and tactics. By the end of the seventh century, Turkish migrants converted to Sunni Islam and became champions of Islamic orthodoxy. Beginning in the twelfth century, new waves of Turkic migrants became attracted to militant Sufi orders, which gradually incorporated heterodox Shia beliefs. One Sufi order that appealed to Turks after they won against Christianity was the Safavi, based in northwest Iran. Safavid adherence to a Sufi version of Shi’a Islam had the support of the Turkic tribes called the mentioned Qizilbash [literary the “Redheads” for the twelve red strips on their turbans symbolizing their adherence to twelve Shi’i Imams]. Qizilbash tribes resided mostly in Asia Minor; northern Syria, and northern Iraq. Concern about the growing influence of the Safavi probably was one of the factors that prompted the Ottomans to permit unorthodox Bektasi Sufism to become the official order of the janissary soldiers. The Sufi orders enhanced their political role again with Western imperialism. When Islam was under threat, their close-knit brotherhoods were devastatingly effective. Sufi orders led anti-colonial movements from Morocco to Indonesia and are the core of the stubborn Chechen guerrillas. Even Stalin’s terror campaigns could not root out the Sufi brotherhoods. A similar story can be told in Kurdistan, Kashmir, Albania, Somalia, Kosovo, and elsewhere, where believers owed their survival and cohesion to the Sufi brotherhoods. While Sufism did not exist prior to Islam, Sufi doctrine contains many elements that go beyond the teaching of Mohammad. Islam seems to be the external shell in which the Sufism lives while the internal quest for enlightenment belongs to a realm of Sufi knowledge. It seems reasonable that the Sufi doctrine that differs the most from the rest of Islam had its beginnings much earlier (my very non-Muslim view of Sufism). For many centuries these extra qualities created a great deal of friction between mainstream Islam and the Muslim mystics. After centuries of falling in and out of favor, Sufis represent a door to other religions and that is the very reason that they became a target again. Many Sufi orders encourage honoring Saints and Prophets by visiting them if the are alive or their tombs if they have passed on. Pilgrims often will go to ask for favors in the form of miracles or prosperity. In many communities the pilgrims are people from other religions who come to the tombs in hopes of finding favor or receiving miracles, very similar to Christians. The Sufi poet Jalaluddin Rumi (in 1207-1273), said: „Go the way Mohammed, but if you are not able to do this, go the Christian way.“ What he meant with “like a Christian”, is very clear (and said by C.G. Jung later): „Jesus is in you, search for his assistance.“ Sufis idols and customs resemble catholic ones, in Islam the associate either with Shiite or Sunnis. To the orthodox Islam, the mystic Sufism is deemed idolatrous. But this is nothing new. That the Sufi shrines recently became some sort of official religio-political status of global importance, which irked Sunnis and particularly Western supported Salafis, to whom all shrines and statues are blasphemous, similarly to protestants in Christianity. Some scholars theorize that many of the esoteric impulses of Europe, from the Middles Ages on, point to Sufi influence. The Knights Templar are said to have brought back Sufi elements from their contacts in the holy lands (I have written about that). The mythical Christian Rosenkreutz of Rosicrucian fame is described as journeying to the East. Some have hypothesized links between Sufi love poetry and the rise of the Troubadours. All of which suggests that, for the West, Sufism is not so much new as it is previously unrecognized. How then do we approach the task of learning what Sufism has to offer? Die Tafeln der Thora und den Koran. Die Liebe ist, wozu ich mich bekenne. Die Liebe ist und bleibt mir Glaube und Gesetz“. Hujwiri (died about 1071) stressed the meaning of own decision instead of result of ones past. Persian Sufi writer Jelaluddin Rumi (died in 1273) , was particularly valued by the dervish’s brotherhood who recognised a cosmic quality of the universe – the evolution. Hazrat Inayat Khan and Pir Vilayat are examples of the fact that modern psychoanalytic thought of C. G. Jung can already be found in the Sufism and modern Sufism could become a unique religious-communication message of love, harmony and beauty as a “relieved spirituality” which is directed at all people. The connection of the Templars with the Isma’ilis and Assassins has been well researched. The Assassins were first known as the Nizari Isma’ilis. From the Isma’ilis the Crusaders borrowed the conception which led to the formation of all the secret societies, religious and secular, of Europe. The institutions of Templars and Hospitallers; the Society of Jesus, founded in the Holy Land, composed by a body of men whose devotion to their cause can hardly be surpassed in our time; the ferocious Dominicans. 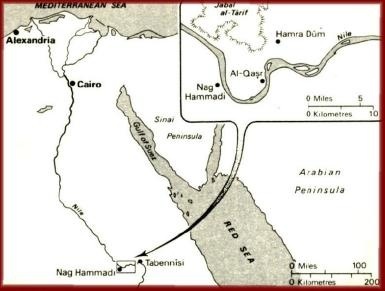 the milder Franciscans – may all be traced either to Cairo or to Alamut. The Knights Templar especially, with their system of grand masters, grand priors and religious devotees, and their degrees of initiation, bear the strongest analogy to the Eastern Isma’ilis. Much of the well-known mystical symbolism of Sufism, often best known through the Rubaiyat of Omar Khayyam, was taken over by the Isma’ilis. They joined Sufism and Shiism in a peculiar and unique blend, often appearing as a particular group of Sufis with their own Shaykh. Mount Damavand, constitutes Central Iran although close ro Tehran, this mountainous area has always been and still is remote. Within a high mountain valley stands “the castle of Alamut, the fortress retreat of Hasan-i Sabbah, which became almost legendary after the supposed 1273 visit of Marco Polo and his description of the ‘Old Man of the mountains’ and the Assassins. Templars – Militant Sufi influenced Order? The doctrine of rebirth, consisted of two schools of thought: first, a belief in Ismail himself as immortal, and consequently that he is the Mahdi; second, some believed that Mohammed, son of Ismail, was the Mahdi who would not die until he had conquered the world. “Isma’ili theology was thus “revelationary” in character. The haqa’iq transcended human reason and ultimately derived from gnostic doctrines, considering the principles of spiritual and physical worlds in Neoplatonic terms. The Gnostics held that the physical world had been created by an inferior deity, the Yahweh of the Old Testament, who was allowed a certain lassitude until God decided to send His son to inhabit the body of Jesus and free the world from false teachings. As I have written once, Gnostic notions passed into Islam when Mohammed adopted the gnostic idea that the body which was crucified was only a phantom. which the Jews and Romans could not harm. Arguably Sufis can be seen as one strain of the Gnostic syncretic virus which, after it was stamped out within Christianity, took over successfully the rising Islam as external host for mutual benefit. The Islam, which was in the beginning an oral warrior ideology benefitted by the rich mysticism. whereas Sufi used the spread of Islam taking over the East and almost half of Europe as vehicle and protective shell. When the Templars fell after the failed crusade, the Sufis started to thrive open and militant as Janissaries. Only in that respect Sufism could have been, especially in the West, portrayed and regarded as a valuable and legitimate part of the Islamic faith. There are three main branches of Islam – Sunni, Shiite and Sufi. Sunnis make up about 85 percent of the Muslim population globally, while Shiites account for about 15 percent. The two split over differences of who should succeed the Prophet Muhammad but are further subdivided. Sunni follows a strict, literal interpretation of the Quran and the life of Muhammad with the Sunna as core teaching. Wahhabism is an austere form of Sunni dominant in Saudi Arabia for which Muslims more often use the term Salafism. Shiism is the smaller of the two major branches of Islam. It developed after the death of Muhammad, when his followers split over who would lead Islam. Sufism is an Islamic mystic tradition with followers around the world. Sufis tend to identify with either Sunni or Shiite Islam. Many Muslims are critical of Sufism as an unjustified deviation if not foreign introduction. Shia means “faction,” refers to “faction of Ali.” Sunni means “tradition,” adheres to orthodox tradition Suf means “wool,” considered the Mystics of Islam. Iran center and home of most Shia, 88% of Iranians are Shia (Shi’i), In Iraqi 96% are Muslim and over 50% of them are Shia (Shi’i), though Iraq was ruled by minority Sunnis. Reverse Syria if you consider Alawis (12er ) to be Shiites. Grew out of Umayyad dynasty. World-wide 85% of Muslims are Sunni. Developed in reaction against the excesses of the Sultans and Caliphs (who wore silks, satins), specifically the Caliphate of Damascus in the Umayyad dynasty, Sufis wore course wool garments in protest. Believe in Ali and the Imams as rightful successors of Muhammad, but not in first 3 Caliphs. Ali was first of 12 successive legitimate Imams. Succession was to be hereditary. Acknowledge each of the first four Caliphs as rightful successors to Muhammad. Value deliberate simplicity, meditation rather than just a formalistic following of the rules. Look forward to Messianic return of the last recognized Imam. Muhammad al-Mahdi, last Imam, disappeared 900 CE, went into “hidden realm”, was sinless. Ayatollah Khomeini (1900-1989) believed by many to be the return of the last Imam. Through the ages, Caliphs rule “in God’s name.” Sufis gathered around shaikhs (masters) and formed faqirs (orders or communities). Rabi’a (1717-1801 CE) was a Sufi poet whose poetry spoke of God’s Love similar to Christianty Al-Ghazzali (1058-1111) first Sufi to bring the faction into mainstream Islam. Sufism goes beyond the Five Pillars of Islam are which are obligations which are required of every Muslim: shahadah (statement of faith), salat (prayers), zakat (alms), sawm (fasting), and hajj (pilgrimage). A thorough and critical examination of historical and present day Sufism, quickly reveals the influence of numerous religious ideas foreign to Islam. Zoroastrianism had also an intimate contact with Islam like Gnostic Manichaeism. Zoroastrianism provided first of all a vocabulary for Sufi poets and symbols of angelology and cosmology transparent in the light of gnosis. Most orthodox scholars would be perplexed by this conclusion, especially when it is considered that Zoroastrianism (and pre-Christian Gnostic) predated Islam by over 1000 years. Sufism might be the last living gnostic tradition today. Why did it survive? Sufism is clearly a reaction or response to what was lacking in early Islam. The very strength of Islam, in its reliance on a simple creed combining religion, law (and power of a non-secular state) and the five pillars of practice, proved to be the very weakness of Islam. The design of the Islamic ideological system had allowed, however, for rapid expansion and political aggression supporting Sufism. Another area of weakness in Islam, which helped lead to the problem of Sufism, is found in the inherent synthesism (and gnosticism) of Islam both share. Here the vagueness caused by the doctrine of the indescribably Allah (a main concept common of Gnosticism) allowed in essence creating a contradictory belief system. The orthodox ulama developed their theology borrowing and changing what they viewed as their ‘Judeo-Christian’ roots (including Christian heresies), while the Sufis were largely influenced by Eastern mystics. A lot of ink was spilled over the question of Sufism’s relationship to Islam. The Sufism does not belong to Islam. Rather vice versa: Islam belongs to the Sufism. So does Christianity. There was Sufism for a long time before Mohammed and it may exist after Mohammed is forgotten. Sufism and Islam have similar gnostic and heretic roots – seen from Christianity. But the roots of Sufism are even older. Like the mystics of the other religions, were the Sufis “dissidents”, even “heretic” for the purposes of ruling religious interpretation, In the Christianity these were particularly the Gnostics, in the Judaism the Cabalists. The Jewish, Christian and Muslim mysticism was the answer to the power and structure hungry monotheist religions, to what they saw as manipulation and assault at the freedom of the believers. The priest’s class was installed between the believer and God and only over them one could approach God or understand him. To them three religious systems were looking at people as conformist, conditioned beings which needed a herd and a shepherd. There are many different religions, but the Sufism is from all religions the heart, the most internal core, the real soul. Religions form and resolve. The Sufism, however, remains, he will always live – because it incorporates no dogma. It is the heart of all spirituality.I think Sufis is open to include those deeply involved with religious/spiritual traditions other than Islam. 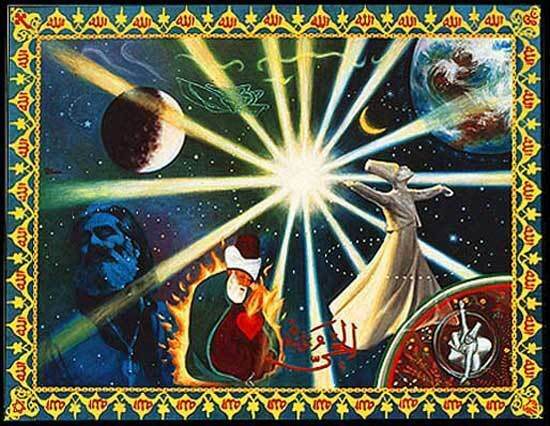 The Sufi work is foremost the quest for gnosis (ma’rifah) – the state of opening or illumination in union with God. Echoes of Eastern ( and Western) mystic religions are of course distinctly contrary to Muslim orthodoxy but its mystic quest for spirituality has embraced all sorts of religion. The stages the dervish proceeds through along this path constitute a system of spiritual psychology and there are parallels between their individual spirituality and Jung’s theory of individuation. As such Sufism is a tradition of human transformation and as such is a valuable resource for the Western seeker. For various reasons, including the long dominance of an orthodoxy which frowned upon (and often explicitly punished) most mysticism or gnosticism not mediated by clerical authorities or theology, these currents in the West have been primarily underground. For Sufis God alone is responsible for the creation of the world through a word. The mystic Isma‘ili sect of Islam personalize the imperative “Be” into the God’s feminine aspect Kuni the spouse of Qadar . Through the feminine Kuni the world becomes to exist just like with Sophia in Gnosticism:“Sophia, who is called Pistis, wanted to create something, alone without her consort; and her product was a celestial thing.” The Sufi like the Gnostic view on the created world is sometimes very negative.“The world is a dunghill and a gathering place of dogs; and meaner than a dog is that person who does not stay away from it.” Sufi could not participate on a secular affairs and he must to know, that world is a merely an illusion. Even Jesus (highly considered by Sufis) said in the Gnostic Gospel of Thomas (56):“Whoever has come to understand the world has found (only) a corpse, and whoever has found a corpse is superior to the world.” We can clearly say that Gnostics and Sufis are not interested in the world and even despise it. Not only the world is seen in the negative light, but also the work of heavens and the time. Every religion in the world has among its practitioners those who engage the faith beyond the common boundaries of doctrine and dogma, seeking an unmediated relationship with the divine. Sufism, as can be discerned from the writings of Ibn’ Arabi and Jelaluddin Rumi, can be discussed in the terms offered by C.G. Jung in his theories of the structures and functions of the human psyche. In Jung’s terms, Sufism can be seen as an example of how a healthy, integrated psyche might function, and what a living mythology might look like. Sufism as a psychological system has postulated the discoveries of Freud or C.G.Jung centuries before: the Sufi sheikh Ghasali wrote down the sexual knowledge of Freud around 1200 AD and C. G. Jung’s findings on psychological archetypes and the collective unconscious were formulated by the Sufi Master Ibn Arabi. C.G. Jung might have known that therefore and wrote: „What we hold for a specifically western invention, namely the psychoanalysis and those of her outgoing suggestions, it is a beginner’s attempt in comparison to that what is old-skilled art in the east.“ He meant the Far East, but also the Middle East as he was well aware of the findings of the Nag Hammadi library (famous for the “fifth” Gospel of Thomas favoured by the Sufis). Ibn al-‘Arabi (Ibn’ Arabi) is the most rigorous Sufi panentheism. Everything that exists is a part of and a manifestation of the Oneness of God. Humans are part of God. To him the idea of a separate self is the result of ignorance. Ibn al-‘Arabi was born in Spain, in AD 1165. At the age of twenty he was initiated into Sufism. From the 1190s he engaged in three decades of travels as a wandering scholar, poet and mystic, visiting the Maghreb, Egypt, Arabia, Syria and Asia Minor and finally settled in Damascus. Ibn’ Arabi ascribes the source of his inspirations to an angel, which, in Jungian terms, is an archetypal inhabitant of the unconscious. Angels are particularly regarded as the messengers or intermediaries between God and the human world. With respect to the psyche, as intermediaries and messengers, angels are the very permeability of the division between the two zones of the psyche. Unconscious content, which cannot be directly apprehended by the conscious, is translated into terms the conscious can comprehend: language. Intermediaries between conscious and unconscious are necessary because, as Jung points out, [. . .] “psychic contents cannot be observed in their unconscious state, and moreover the psyche cannot know itself. The conscious can know the unconscious only so far as it has become conscious “( C. G. Jung). Insofar as God is beyond the categories of human thought and beyond language and concept, He is unknowable, unutterable. Commensurately, the Sufi experience of God is referred to as knowledge of the heart. The Sufi calls “knowledge” his own experience – in all areas of the senses and in the experience of own transcendence. Between me and the motive of my causing stands nothing and nobody! „Das Kreuz und die Christen nahm ich von allen Seiten in Augenschein. Er war nicht am Kreuz. Ich ging zum Hindu-Tempel, zu der alten Pagode. An beiden Orden fand ich keine Spur von ihm. Ich ging zu den Höhen von Herat und nach Kandahar, schaute mich um. Er war nicht auf den Höhen und nicht auf der Niederung. Entschlossen stieg ich zur Spitze des Kaf-Berges. Dort wohnte nur der Anqa-Vogel. Ich ging zur Kaaba und traf ihn dort nicht. Er war jenseits der Definitionen des Philosophen Avicenna. Ich schaute in mein eigenes Herz. As well as Gnosticism, Sufi traditions emphasize the meaning of the intuitive knowledge (ma‘rifa) in contrast to the scientific knowledge (‘ilm). A Sufi has to recover the state he had immediately after the creation of Man. The Sufism teaches a direct connection of the searching with the last truth, to the divine dimension as internal personal experience. Important is the strength and the ability to leave the social frames of that limitation religion to which we belong; then, suddenly, the consciousness understands the true core of any religion. Any religion. While Sufi teachings have been influenced by various religions, their practices also bear close similarities to those of Hinduism and other mystical religions of the East. The Sufi orders are led by shaikhs, who play the same role as Hindu gurus. Most Sufi orders still consider the five pillars of Islam to be essential, and practice them piously, however they go far beyond this, aiming to spiritual awakening. Central to all of these practices are ritual “invocations of the Divine Name,” also known as dhikr, which can be done either silently or in a chant. Here similarities with Hindu mantras are unmistakable. 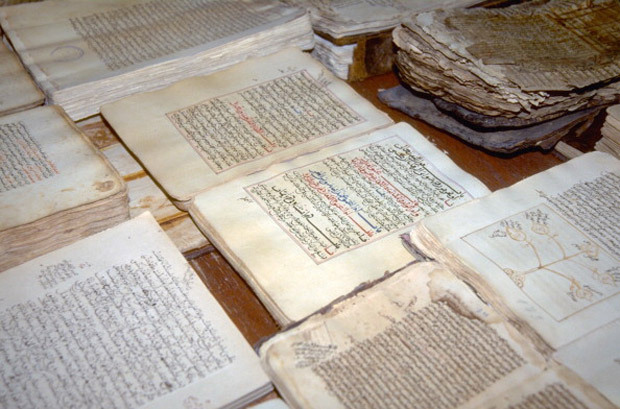 The evidence of Sufi borrowings from other Eastern religions such as Hinduism and Zoroastrianism is certain. The similarities in teachings and ritual are overwhelming. It is no surprise then that the goals of Sufism reflect their pantheism and monism. Of course it is one of the characteristics of living traditions that they are ultimately oral. The spark that kindles the enlightenment is rarely captured on paper: it shifts its emphasis and context with the times and the individual. In matters of the heart and soul, it is the experience of love or of the Self that resonates – not dogmas or theories. This aspect of Sufism is the hardest to convey: In Sufism, great importance is given to the complete human being, the one who is considered activated. It is through the guidance of such a human being that the inner process unfolds. Any particular beliefs in dogmas dissolve as the complete one assists the seeker to fall fully into his or her relationship with God and to recognize the importance of that essential experience. The socially approved knowledge by argumentation is not valid for me – unless I have found out it myself. The Sufi calls all things meaningless, if they are old or new, big or small, important or insignificant, because all things are separated in reality forms one and not. All things („the evident“) are merely bridges to the true reality. Rituals, symbols are representatives, are to reflexion of an internal truth they can be exterior dead and stereotyped; but they show that who can see a way to the internal truth. There is no external sign (like the Christians Cross or the Crescent of Islam) from which one could say this symbolises the Sufi being. Sufis use the most different symbols, quite knowingly that these are just represented phenomena. Sufism is intuitive and what is the core of all religions, Christians, Zoroaster, Hebrews, Hindus or Buddhists. 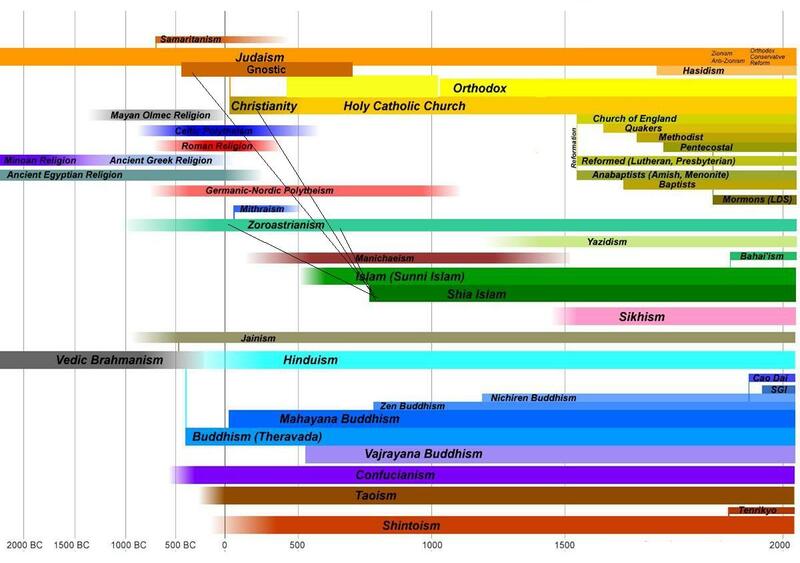 Every external religion – except atheism as faith system ( non-intellectual) – is ritualized and symbolized. To me Sufism is Taoist poetry, it is a wide, open sky. It is also individuation of C.G. Jung. The creation is the only church Sufism knows. Liberty is mandatory. One cannot lock up its heart in churches but in armies. Sufi is a tough cookie and born surviver, the (computer) virus of religions. However, like the Tao, if Sufism is squeezed into a system, religion becomes an organised power structure, a ritual, it simply dies… the “Sufi mind” escapes… If the host dies Sufism moves on. No surprisingly every rigid theology has been afraid of Sufism. If one opens doors and gate to the unconscious, nobody knows to where this will lead. And do not forget: God himself is irrational unconditional love, and this is also wonderful in such a way, what would be God otherwise than a philosophy professor at any university, a pope or a guru– but not a personal God the universe itself. A true Sufi, that is, one who has reached realization, may well step beyond religion or secularism. At such a point, the questions of whether Sufism is Islamic or Christian or not, or whether this path is superior or inferior to others, are largely irrelevant. To Sufism anyway. The answer to the articles question is all of above: Sufis were gnostics and syncretic mystics after which the Templars were modelled. As Islam prevailed, the secret Christian heresy of gnosticism survived within Islam. One difficulty facing those who approach Sufism for the first time is the prevalence of foreign terms, most of them originally Arabic. A further complication is that the same term may be spelled slightly differently according to its Arabic, Turkish, or Persian usage. To simplify matters we have favored the most common Arabic transliterations of the terms below and elsewhere in this issue. Adab (literally “courtesy”). Appropriate behavior. This may range from showing respect for one’s elders to “doing the right thing at the right time.” It implies keeping attentive to one’s actions and their effects on others. Barakah Grace or blessing. A spiritual influence or energy infusing the universe. Saints, spiritual teachers, and Sufi orders are considered to be conduits for barakah to others. Dervish (“poor one”). A student of Sufism, usually initiated within a specific Sufi order. Dhikr or zikr (literally “remembrance”). The chanting (either aloud or silently) of names of God or Qu’ranic phrases as a means of prayer and meditation. A common Sufi practice, often done weekly at group meetings. Hadith (literally “report”). Advice or sayings of the Prophet Muhammad that supplement or clarify the wisdom of the Qu’ran. Certain hadiths form the key concepts behind much Sufi teaching. Haqiqah (“the domain of truth [haq]”). Refers to both the ultimate “Reality” and the mystic’s station of attainment to that level of truth. al-Insan al-kamil (literally the “perfected man”). The title for the human who has been fully realized and has become one with all of God’s attributes. According to some Sufi teachings, this is the ultimate destiny of all conscious humans. Ma’rifah (literally “knowledge”). Also translated as “gnosis.” The inner knowing of divine reality. Murid A disciple or student of Sufism who is under the leadership of a developed teacher. Murshid (literally “director”). An accomplished Sufi master who instructs his murids. Nafs The soul or psyche. The term is typically applied to the conditioned or habitual self which the dervish on the path must overcome in successive stages of unfoldment. Qutb (literally “axis” or “pole”). According to tradition, there is one person in each age who serves as the spiritual anchor for humanity. The Qutb resides at the top of the hierarchy of the saints and is said to exert significant unseen influence on human affairs. Sama (literally “hearing”). In Turkey (where it is spelled sema) it is synonymous with the spinning dance ceremony of the Mevlevi Order, the “whirling dervishes.” In general usage it refers to a concert of mystical music and dance. Shaikh (literally “elder”). There are several varieties of shaikhs. In some Middle Eastern towns or tribes, the title simply refers to a local leader. Within Sufism, “shaikh” refers to someone appointed to represent the order, or to someone who has successfully completed the order’s path of study and can now teach it reliably. The highest shaikhs have reached illumination, but this is not true of all who bear the title. Similar titles in some orders include Baba (father) and Dede (grandfather). Shariah Islamic law. The exoteric rules of the religion, intended to guide society in a moral direction. Sufis sometimes interpret components of the shariah in an esoteric fashion that may seem to conflict with orthodox interpretations. Silsilah (literally “chain”). The “chain of transmission” of an order, stretching from the dervish back to the order’s founder and Muhammad. Each order’s silsilahis often considered to carry its own unique barakah. Tariqah (literally “path”). A Sufi order or brotherhood. The Naqshbandis, Chishtis, Mevlevis, etc. are each a different brotherhood reflecting the path first delineated by their respective founders. Tasawwuf (literally “self-purification”). Islamic mysticism or Sufism. The term Sufism is a relatively recent name coined by Western scholars. Tekke (literally “corner”). A lodge or center of Sufism, also known as a khaneqah. In the Middle Ages, tekkeswere often significant social centers where many dervishes lived and worked. In Turkey, Kemal Ataturk closed the tekkesin the mid-1920s as part of his modernizing revolution following the collapse of the Ottoman Empire. Tags: Gnostic, jungian psychology, Religion, Sufism. Bookmark the permalink.